How do advocates and admins message each other? How do advocates find each other? As an admin, clicking on the envelope icon in Admin View will bring you to the messaging interface. As an advocate, the messaging interface is found by clicking the envelope icon in Advocate View (see below). In this view (see below), advocates can message the Hub administrator directly by clicking the 'Message Administrator' button or search for other advocates in the "Search" box. The operation is the same for admins contacting advocates. When you search for others, the search pane is divided into 3 categories. 1-on-1 Messages This is a list of 1-on-1 conversations you have with advocates. Any conversations involving more than two individuals can be found here. Contacts This is a list of all other advocates that you can message in the Hub. Note: Group messaging is only available at the moment when there are more than one administrators and one advocate in the conversation. There is currently no function for multiple advocates to form a group and message each other there. 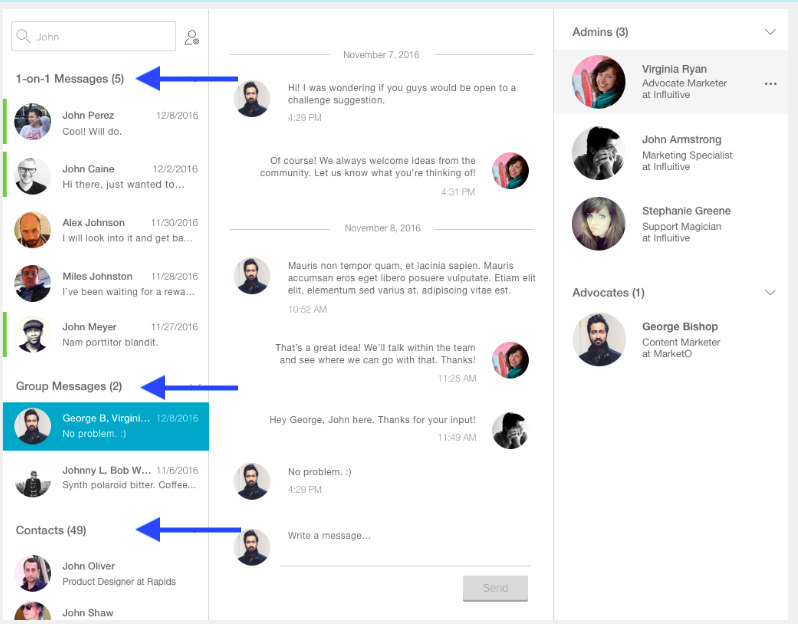 The right-side pane shows which administrators and advocates are part of the conversation. 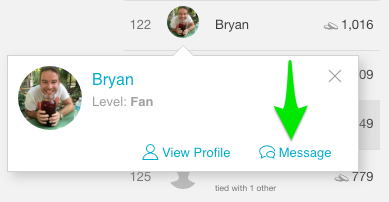 A dropdown allows you to view their profiles or send them a direct message. While advocates can search for a name if they know it, there is no list or directory of other advocates. There are a couple of areas through which advocates may discover each other. This is explored below. Advocates can message each other in a couple different ways. First, they can select a name from the leaderboard. When a name is clicked on, information about that advocate pops up, along with a button that says Send Message. The other way for advocates to message each other is to click on a fellow advocate's profile image or name in a challenge. 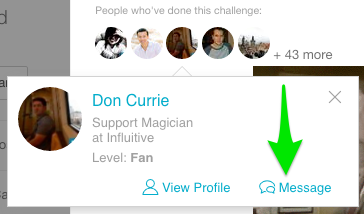 Advocate profile images appear at the top of a challenge under the People who've done this challenge line as well as on responses or comments left on public response challenges. 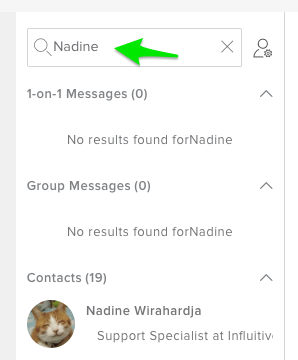 Lastly, advocates can search for the user that they wanted to chat with in the Messaging page's search bar and click on their name to start a message thread.